I crossed my arms and looked at Silky suspiciously, wondering if she actually knew or if she bluffed to get the truth out of me. -“What exactly do you mean dear?” I asked as innocently as I could manage. I smiled to her pretending to give it a thought whereas I knew the answer already. -“Well that would be an idea. Old times means we will be skinny dipping? No phones allowed then! !” I winked at her, letting her know that our dispute was over from my point of view. Mimicking her theatrical gesture, I switched off my phone too and put it in my purse. -“Well see you tonight then.” She left the cafe giving me her usual amused look over shoulder, before she turned around the corner. “I hope you are doing well on your side and send you a big kiss from this place I know you love at least as much as me. I took my way to my hotel. 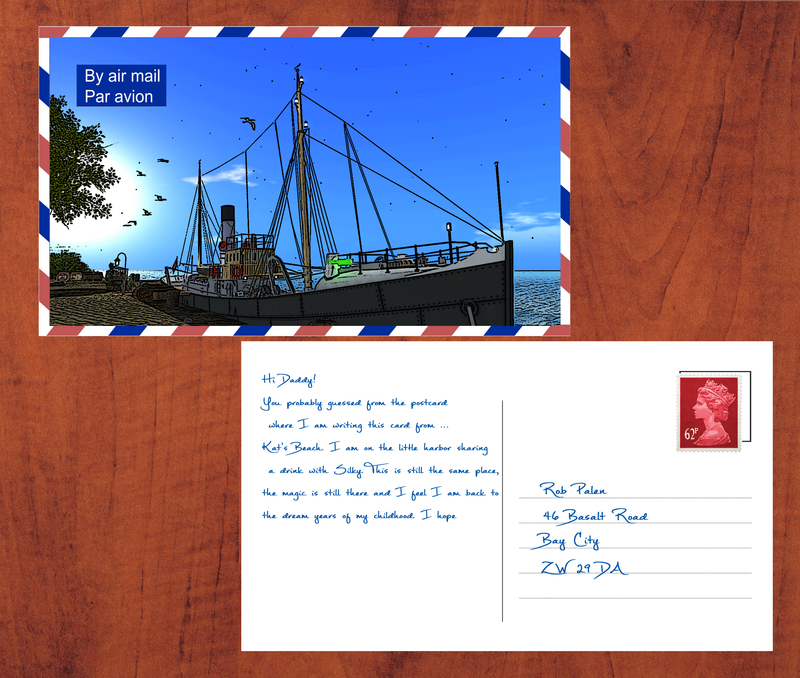 When I arrived, I let the postcard at the reception and went under a warm shower. Tonight would probably be another good memory at Kat’s beach to add to my collection of souvenirs.